Jeffrey Zeigler (cello), Ursula Oppens (piano), Lara St. John (violin), and Martin Kennedy (piano). National Sawdust continues its year-long celebration of famed composer John Corigliano’s 80th birthday with a concert highlighting his chamber works. One of his most famous students, Nico Muhly, will host and moderate the evening. Muhly, whose collaborations span from Glen Hansard to Björk and Philip Glass, has emerged as one of the most vital composers since the turn of the millennium. This final performance, exclusively at National Sawdust, features some of Corigliano’s most notable collaborators over his career: Jeffrey Zeigler (cello), Ursula Oppens (piano), Lara St. John (violin), and Martin Kennedy (piano). At the start 2017-18 season, Ms. Oppens will present the New York premiere of Laura Kaminsky’s Fantasy for solo piano at the Bargemusic Labor Day Festival celebrating women composers and musicians. She will appear at Hayden’s Ferry Chamber Music Series in Tempe, AZ, where she will be joined by pianist Jerome Lowenthal and cellist Evan Drachman, in a program inspired by William Kapell, the great American pianist killed in a plane crash in 1953 at age 31 on his way back from a concert tour of Australia. Ms. Oppens will travel to Bowling Green State University for the 7th Annual David Dubois Piano Competition to perform Mozart’s Concerto for Two Pianos with pianist Phillip Moll, as well as various two-piano selections by Schumann, Poulenc, Lutoslawski and two short new solo works by Samuel Adler. Her season concludes with engagements at Humboldt State University, University of Washington, and Oberlin Conservatory. Highlights of last season included appearances in Bargemusic’s Masterworks series, where she performed seminal works by Elliot Carter and Alexander Scriabin, as well as in “Bag of Tails and Occasional Pieces,” a concert presented founder of Open G Records to honor the piano music of Pulitzer Prize and MacArthur Fellowship-winning composer John Harbison. Deutsche Symphonie, the Scottish BBC, and the London Philharmonic Orchestras. Ms. Oppens is also an avid chamber musician and has performed with the Arditti, Cassatt, JACK, Juilliard, and Pacifica quartets, among other chamber ensembles. Ursula Oppens joins the faculty of Mannes Colllege, The New School, in fall 2017, and is a Distinguished Professor of Music at Brooklyn College and the CUNY Graduate Center in New York City. 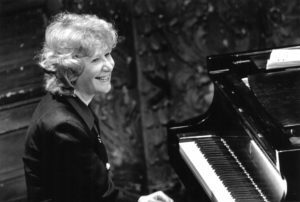 From 1994 through the end of the 2007-08 academic year she served as John Evans Distinguished Professor of Music at Northwestern University in Evanston, IL. In addition, Ms. Oppens has served as a juror for many international competitions, such as the Concert Artists Guild, Young Concert Artists, Young Pianists Foundation (Amsterdam), and Cincinnati Piano World Competition. Ms. Oppens lives in New York City. Canadian-born violinist Lara St. John has been described as “something of a phenomenon” by The Strad and a “high-powered soloist” by the New York Times. 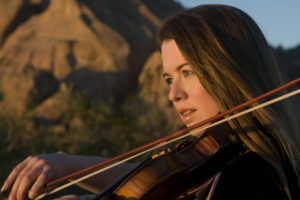 She has performed as soloist with the orchestras of Cleveland, Philadelphia, San Francisco, Seattle, Toronto, Montreal, Vancouver, and with the Boston Pops, the Royal Philharmonic Orchestra, NDR Symphony, Zurich Chamber Orchestra, Camerata Ireland, Amsterdam Symphony, Brazilian Symphony, Sao Paulo Symphony, China Philharmonic, the Hong Kong, Tokyo and Kyoto Symphonies, and the orchestras of Brisbane, Adelaide and Auckland among many others. Lara created her own label, Ancalagon, in 1999, and has recorded with the Royal Philharmonic, the Simon Bolivar Youth Orchestra of Venezuela and The Knights, with which she won the Juno award in 2011 for her Mozart album. Of her Bach Six Sonatas and Partitas for Violin Solo, American Record Guide wrote: “I simply don’t know where else you can go to hear Bach played at this level of artistry. Once again she eclipses her competition”. Lara began playing the violin at two years old. She made her first appearance as soloist with orchestra at age four, and her European debut with the Gulbenkian Orchestra in Lisbon when she was 10. She toured Spain, France, Portugal and Hungary at ages 12 and 13, entered the Curtis Institute at 13, and spent her first summer at Marlboro three years later. Her teachers have included Felix Galimir and Joey Corpus. MARTIN KENNEDY began his formal training at the Jacobs School of Music, where he received Bachelors of Music in both Composition and Piano Performance. He went on to earn a Master of Music in Composition at the Jacobs School and a Doctor of Musical Arts at the Juilliard School where he was a C.V. Starr Doctoral Fellow. His principal teachers in composition include Samuel Adler, Milton Babbitt, Claude Baker, David Dzubay, Don Freund, and Sydney Hodkinson. His principal teachers in piano include Jeremy Denk and Evelyne Brancart. Kennedy’s music has been performed internationally by numerous artists and ensembles, including the Royal Philharmonic Orchestra, Orchestra Teatro Comunale di Bologna, South Dakota Symphony Orchestra, Baton Rouge Symphony Orchestra, Wisconsin Philharmonic, American Composers Orchestra, Bloomington Camerata, Symphony in C, and Tuscaloosa Symphony. He is the recipient of several prestigious prizes, including the ASCAP Foundation Rudolf Nissim Prize, the ‘2 Agosto’ International Composition Prize, a BMI Student Composer Award, five ASCAP Morton Gould Young Composer Awards, the Suzanne and Lee Ettleson prize, the ORTUS International New Music Competition, the ASCAP Raymond Hubbel Award, fellowships at the MacDowell and Yaddo Artist Colonies, an Aaron Copland Award, and two Indiana University Dean’s Prizes in Composition. 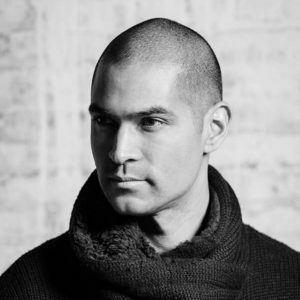 Kennedy also remains in demand as a pianist and collaborator, appearing on concert stages worldwide and such radio programs as BBC’s In Tune and NPR’s Performance Today. He has toured with violinist Lara St. John and flutist Thomas Robertello, with whom he has both recorded with and written for. He has also appeared as a collaborator with such internationally renowned artists as Kim Kashkashian, Pat Sheridan, Gail Williams, Amy Porter, Marianne Gedigian, and Demondrae Thurman, among others. Kennedy is also committed to the performance of new works, having premiered numerous compositions as both a soloist and as a member of both the Indiana University New Music Ensemble and the New Juilliard Ensemble. A passionate teacher and mentor, Kennedy is highly active in promoting and nurturing young composers. He also frequently serves as an adjudicator for the ASCAP Morton Gould Awards, National Association for Music Education, as well as administrator for both the Washington State Music Teachers Association Composition Competition and the Washington State Young Composers Project. Kennedy’s music is available on the Ancalagon, Anbardy, Azica, Centaur, and Riax labels and is published by Theodore Presser Company and G. Schirmer Inc. 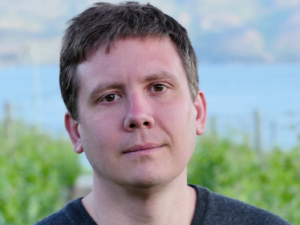 He is currently an Associate Professor and Director of Composition and Theory at Central Washington University, having previously served as a member of the academic faculty at Washington University in St. Louis.